Monday - Indiana sunrise at 6:30. A low energy day after two days of travel. Got a new battery for the car. Did a little reading ("Out of the Silent Planet" by CS Lewis). Picked up a listing for a house in the area: 3 bedroom, 1.5 bath ranch, one-car garage, with 20 x 40 foot in-ground pool on circa quarter acre -- $95,000! Tuesday - Classic, early morning thunder storm. Later that morning went downtown (Fort Wayne). Local prices: gasoline $2.89 to $2.99, 12 ears of corn for $2.00, Black Sabbath greatest hits CD $9.95. Passing a park we noticed a crowd encircling a small pond. Next we noticed rescue personnel, and even a scuba diver, in the pond. Then noticed the roof of a car submerged in the pond. No clue what happened. Visited the Fort Wayne Public Library (what else does a librarian do on vacation?) and made use of their genealogical collection -- the second largest in the country (the Mormans have the largest). Found on microfilm the pension records for my great great great grandfather (Civil War New Hampshire 7th Vol). Pretty cool. Cape Cod has "Mad Jack" Percival (19th century naval captain), Fort Wayne has "Mad Anthony" Wayne (Revolutionary War general). Cape Cod has cranberries and clams, Fort Wayne has corn and soybeans. Cape Cod has the Cape Cod Canal, Fort Wayne had the Erie/Wabash Canal. Cape Cod has Iyannough's gravesite, Fort Wayne has Johnny Appleseed's gravesite (on right). Cape Cod has the Atlantic Ocean, Fort Wayne has the Maumee, St. Mary and St. Joseph rivers. Massachusetts is a blue state, Indiana is a red state. Massachusetts has a governor named Mitt, Indiana has a governor named Mitch. Massachusetts has a seat belt law, Indiana also has a seat belt law (but motorcyclists don't need to wear a helmet). Presently, I'm on the road in the heartland of the country visiting my wife's family in Indiana. Thought it might be fun to share the journey. Saturday - left the Cape at 2:30 and headed up 495 to the Mass Pike and westward. Gas prices edge downward the further west we go. On NY Turnpike had a wonderful dinner at Roy Rogers at one of the rest stops - something about luke warm sandwiches wrapped in foil that adds to the whole adventure. Watched the first "Pirates" movie on my son's PSP player between Utica and Buffalo ... my son piped the sound through the car's speakers so I could hear the movie up front in the driver's seat. Arrived Red Roof Inn Buffalo at midnight - two adults, two young adults, one Boston Terrier. 510 miles. Sunday - After a breakfast of Pop Tarts, started out from Buffalo, into PA and finally the Ohio Turnpike. Saw Lake Erie, Cleveland, and plenty of road kill. Lowest unleaded price we saw was $2.79/gallon. Passed signs that announce Edison's birthplace (US inventory with most patents), Rutherford B. Hayes birthplace (US President with best beard), and a McDonalds' special - two big macs, large fry, large drink for $6.55 (no wonder the country is out of shape -- two big macs!). Mini van almost didn't start after stopping for lunch at Ohio rest stop. By the way, we all had salads. Finally arrived at Indiana. 450 miles . Sunday night - Because Indiana recently switched to eastern time, and is roughly 1000 miles west of Cape Cod, the sun does not set out here until circa 9:15 pm! Twilight lingers till nearly 10:00 pm! and then proceeded to cover them with snowdrifts! And it's rare that we of the 21st century get a chance to participate in a piece of Cape Cod history - a piece of history that will probably be recorded in books written years from now. But, in fact, that's just what we did from January 22-24, 2005 -- we participated in a moment in history. 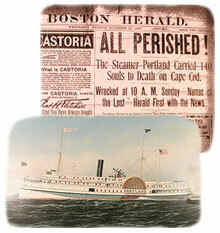 Each of us will recall the events of those days, and of how we learned the meaning of the term "snowbound." Each of us has his or her own tale of where we were and how we managed during those days and nights filled with infinite whiteness and ferocious winds that seemed to come from some distant Arctic place. My family and I were racing across New York State on the morning of Jan 22 and then along the Mass Pike during the afternoon - the second leg of our journey back from Indiana. My brother-in-law called us periodically on the cell to alert us of the storm's progress, which was chasing us like some monster just beyond the range of our rearview mirror. By the time we reached the Bourne Bridge, the first snowflakes of the Blizzard of '05 began to fall. Twenty-five minutes later we were home, just in the nick of time. Storms and Cape Cod are certainly no strangers. Pilgrim William Bradford wrote of the Great Hurricane of 1635 in his journal, claiming that the storm was stonger than anything seen around these parts by English and Native alike. According to Bradford, the storm brought with it a 20-foot storm surge, causing the Natives to climb into trees to avoid being swept away. The October Gale of 1841 and the Portland Gale (see the Boston Herald report on right) of November 1898 were powerful weather events that caused much damage on land and on sea, creating widows throughout the Cape. Hurricanes of 1938 and 1944 slammed the peninsula, bringing more destruction and loss of life. The Blizzard of '78 altered the Cape's coastline, and washed Henry Beston's "Outermost House" out to sea where the waves broke the little cottage to bits. And of course, for those of us here 15 years ago, Hurricane Bob did its share of destruction - downing trees, damaging homes and businesses, and tossing boats ashore like so much driftwood. The "lull" week leading up to New Year's Eve is a wonderful time to bury yourself within the pages of a book. Currently, I'm working on two: a biography entitled "The C.S. Lewis Chronicles" by Colin Duriez, and a bit of local folklore entitled "The Mutinous Wind" by Elizabeth Reynard. Interestingly, I'm discovering some overlapping themes that cause me to wonder if Reynard ever crossed paths with C. S. Lewis ... or perhaps even J. R. R. Tolkien! When I was a youngster, one of the books in my collection was Lewis's classic "The Lion, the Witch and the Wardrobe." As I reached my high school years during the mid-1970's, Tolkien's "The Lord of the Rings" was quite popular. And in adulthood, as I became interested in Cape Cod history and folklore I discovered "The Narrow Land\ by Reynard. Yet, it wasn't until recently that I picked up another Reynard book - \The Mutinous Wind" - about the 18th century Eastham witch Maria Hallett and the spells she spun which eventually sent the pirate ship Whydah to the ocean floor and sent her pirate sweetheart 'Black Sam' Bellamy to his watery grave. The similarities between "The Mutinous Wind," "The Lion, the Witch and the Wardrobe," and Tolkien's "The Hobbit" are interesting to note. "The Lion, the Witch and the Wardrobe" was published in 1950; "The Mutinous Wind" in 1951. The map of "The Dune Country" on the inside cover of Reynard's book reminds one of similar maps of fictional Narnia. The Dune Country map includes such places as the Secret Island, the Golden Marsh, the Hidden Path, and the Green Pool. Both stories include a witch, talking beasts, and a battle between good and evil. While the Sand Dobbies of Reynard's story, which are fairies that live along the dunes of the outer Cape, remind one in a way of Hobbits ("The Hobbit" was published in 1937). They even sound similar - Dobbies ... Hobbits. Of course, I'm having a little bit of fun with this subject. C. S. Lewis and J. R. R. Tolkien - two great thinkers and writers of the 20th century - were close friends and read aloud their work to one another at weekly meetings (many times in local pubs near Oxford). Although Cape Cod's Elizabeth Reynard was herself a very good writer (as well as an important collector of local folklore), I'm pretting certain that she never sat in on one of Lewis's/Tolkien's Inkling meetings. Yet, if you've already read the Chronicles of Narnia and the Ring stories, and are looking for something with a local twist, check out "The Mutinous Wind" by E. Reynard. Just beware of the Sand Dobbies, for as Reynard writes: "Dobbies be troublesome imps at most ... Dobbies be witch familiars!" In the spirit of today's holiday, I'd like to share excerpts from two articles I've written over the past few years on the subject of Thanksgiving. Both appeared in Barnstable Patriot publications - the first published in 2002, and the second in 2004. "There is a lot about the first Thanksgiving that we do not know. Many of our contemporary views of this 1621 event are shrouded in folklore and lost to many years of tradition that has culminated with parades and football games. "Perhaps the most common misinterpretation is the month when the dinner took place. Today we celebrate the holiday at the end of November, yet historians feel that it most certainly took place in late September following the first successful harvest. "Another area of debate is whether or not turkey was served, and what in fact was on the menu that day. Some scholars suggest that the Pilgrims consumed fish and shellfish, and it is quite possible that some seafood was served. Yet it is believed that venison and wild fowl, and possibly turkey, were part of the main course. "The tale goes that the Native Indians who attended the early autumn dinner brought a half dozen deer for the feast. Corn would most certainly have been part of the meal, as it was planted during the first growing season with the help of the Natives as we all learned back in school. Other vegetables might have included beans and pumpkin. Fruits could have consisted of native cranberries, blackberries, gooseberries, and perhaps grapes." "...On Cuttyhunk is where the men built their settlement. And it was here where a Thanksgiving-type celebration supposedly took place. Apparently, one day a number of Natives paddled their canoes out to the island to trade with the English. The Natives stayed for perhaps a couple of days, during which time a large meal was prepared and eaten together - some thirty Englishmen and over fifty Indians in attendance. The English later noted the 'gentle disposition' of the Natives. " 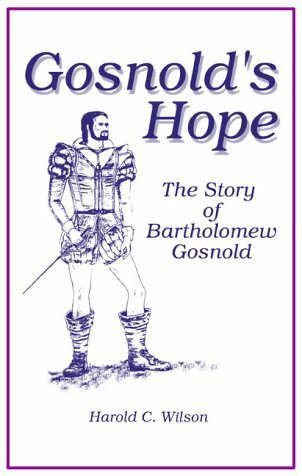 To learn more about this story, check out the book Gosnold's Hope: The Story of Bartholomew Gosnold by Harold C. Wilson. Autumn is the season when Mother Nature makes her presence known to us, with her harvest of hues changing on a daily basis. Marshlands explode with yellow, reds, and oranges, as do the trees that line Route 6A. Pumpkins arrive on doorsteps, and leaves collect in restless piles. Above, our feathered friends fly decidedly south against skies foretelling of colder days ahead. And the sun's workdays grow shorter as Helios punches the celestial time clock a minute or two sooner each evening. Sunsets are magnificent events, and twilights grow more and more eerie as the calendar pages turn toward the end of October. One of my favorite authors during this time of year is Henry Beston, on the left, who penned the immortal "The Outermost House" about a year he spent at his dune cottage in Eastham where he documented nature's pagent along the outer beach. He also wrote other nature books - notably "Northern Farm" about his farm in Maine. For those looking to read a sampling of Beston's work, look no further than the book "The Best of Beston," edited by Beston's wife Elizabeth Coatsworth. As I search for an appropriate introductory paragraph to this review of The Best of Beston, I am reminded of what Elizabeth Coatsworth writes about her husband, Henry Beston, on the left, and his own struggles: "He sometimes spent an entire morning on a single sentence, unable to go on until he was completely satisfied with both words and cadence, which he considered equally important ... He wrote with a pencil or pen - on typewriter paper, except when taking notes - he never typed, for the sound of a machine would have interfered with the rhythm of his sentences." Thoughtful comments from "Mrs. Beston," provided in the foreword and in introductions at the beginning of the book's three sections, provide a personal look at the writer/naturalist who penned one of Cape Cod's most celebrated books, The Outermost House. The Best of Beston, which presents what Coatsworth considers the finest moments of her late husband's writing career, comes across as sort of a Henry Beston sampler, providing just a taste of the varied works of this impassioned writer. It also prompts the reader to search out the complete texts, especially of Northern Farm, which comprises the bulk of this compilation. Excerpts from his first major work, The Outermost House, form the first section of the book. Here, Coatsworth provides "the greatest hits" from this classic, a smattering of text from eight chapters over the breadth of a scant 20 pages. For many of us who have read The Outermost House, these excerpts remind us of why the book is great and convince us that perhaps it is time to pick it up again. The section is particularly interesting because it also contains a number of insightful letters written by Beston to Coatsworth, his fiance at that time. In one, he relates to his bride-to-be that he recently stayed a fortnight at Coast Guard stations and walked the night beach patrol along with the lifesavers, episodes that do not appear in The Outermost House: "I went six miles through the worst storm, guided only by the surf thundering at our feet; the world seemed to swallow one up; one seemed to sink into a kind of interplanetary gulf." Yet a great deal of this collection concerns Beston's work written at, and written about, his newfound home at Chimney Farm in Nobleboro, Maine. And as much as I enjoy The Outermost House, which is considered his most superior work (according to Coatsworth: "From the beginning, he was certain that The Outermost House was really good ..."), I was most interested in reading the excerpts from Northern Farm and Herbs and the Earth. The latter presents Beston's reflections as he tended his Maine herb garden. It is a gentle work that, I'm sure, will eventually be added to my bookshelf. "An herb garden," writes Beston, "need be no longer than the shadow of a bush, yet within it, as in no other, a mood of the earth approaches and encounters the spirit of man. Beneath these ancestral leaves, these immemorial attendants of man, these servants of his magic and healers of his pain, the earth underfoot is the earth of poetry and the human spirit; in this small sun and shade flourishes a whole tradition of mankind." Northern Farm, which makes up a solid one-third of this compilation, comes closest to matching The Outermost House both in terms of style and makeup. Many of the same themes of man's relationship with Nature are found here. Both books trace the course of one year - Northern Farm running from winter to autumn; The Outermost House from late summer to the following late summer. Though overall it is difficult for the farms and fields of Maine to compete with the majesty and mystery of the ocean, at times Beston's writings in Northern Farm surpass that of The Outermost House, as exampled by the following. "All old farms, I imagine, have some such rustic flavor in their walls; country dwellers will recognize what I mean. A hundred and fifty years of barreled apples, of vegetables stored in a fieldstone cellar, of potatoes in the last of the spring, of earth somewhere and never very far, of old and enduring wood and wood-smoke, too, and perhaps the faintest touch of mold from things stored long, long ago in a bin - all these and heaven knows what other farmhouse ghosts are unmistakably present in the neat room with its lamp and books." Such prose makes you want to journey down east straightaway and purchase an old farm! With Northern Farm, Beston returns again and again to his main message, that humanity has divorced itself from Nature and by doing so has become something less than truly human. Referring to the city, he writes, "Life there is so protected from nature, so insulated, so to speak, that it ends up being only a ghost of the human adventure." Of our agrarian ancestors he writes, "How wise were the ancients who never lost sight of the religious significance of the earth! They knew ... that in any true sense there is no such thing as ownership of the earth and that the shadow of any man is but for a time cast upon the grass of any field." He comes to the defense of his adopted pastoral way of life: "When farming becomes purely utilitarian, something perishes." Pointing out a parallel between urbanization and increases in war and violence, Beston writes, "The farmer would reply that agriculture is an art of peace which requires a peaceful time, and that agricultural populations, as seen in history, are not by nature aggressively military." In his foreword to The Outermost House, Beston writes, "When the Pleiades and the wind in the grass are no longer a part of the human spirit ... man becomes, as it were, a kind of cosmic outlaw, having neither the completeness and integrity of the animal nor the birthright of a true humanity." He concludes Northern Farm on a similar note: "Torn from earth and unaware, having neither the inheritance and awareness of man nor the other sureness and integrity of the animal, we have become vagrants in space, desperate for the meaninglessness which has closed about us. True humanity is no inherent and abstract right, but an achievement, and only through the fullness of human experience may we be as one with all who have been and all who are yet to be." The Best of Beston provides readers with a glimpse of the writer's wonderful prose and ideals, tempting one to seek out his complete works to read again and again. Back in September 2006 I posted a blog about the meaning of life. Back then I thought it had something to do with being nice, eating right, expanding the mind, keeping in shape, and living in peace and harmony. Boy, was I wrong! I look around at the world today and let's face it. We could get smashed by an asteroid any day now bringing about worldwide Armageddon and the end to all life on the planet. So I'm thinking I shouldn't put it off any longer. The meaning of life. Many have written about it. Philosophers, theologians, and all kinds of great thinkers down through the ages. Why are we here? Is there some great cosmic reason? Or is it all just by chance? Are we here by destiny? Or by some random turn of the card? Are we each something special? Or just mere happenstance? Are we here through Creation? Or Evolution? Or Intelligent Design? Or perhaps Interior Design? I've consulted the great books. Read what the great minds have written on the subject. I've thought deep thoughts. I've meditated. I've even taken yoga. And through it all, one thing stands out in my mind: coffee. Yes, coffee. It all makes perfect sense now. We were made to drink coffee. Heck, before we can even get moving in the morning we need to consume two cups of the stuff. The smell of it alone revives the senses. Medium roast, dark roast, with cream and sugar or without, it seems quite obvious to me that coffee is at the center of everything. Coffee, and the consumption of the blessed, steaming brew, is what life is all about. Coffee is the true meaning of life! I've decided to accept this as my philosophy. Better to have some philosophy ... however lame ... than to have none at all. So, for a good Cup of Joe stop by your local coffee shop. But don't wait another day. Who knows how long we have until the asteroid hits! That, and a written language. But let's not forget that primates do have an opposable thumb, just like us humans. So once they figure out how to use a pencil and a computer keyboard, and how to button up a shirt and zipper up pants and tie a Windsor knot, look out! There will be no telling us apart! Heck, with that opposable thumb they'll even be able to pour themselves a cup of coffee!